Looking for an innovative mind? An incredibly successful business plan? A new take on the financial market? 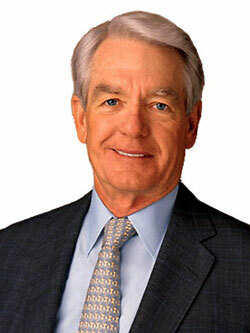 Look no further than Charles Schwab, founder, chairman and CEO of Charles Schwab Corporation, which has helped millions of “average Joes” manage their money through investments and other banking and financial services. In 1971, Schwab started his first brokerage office with the belief that the stock market should be open to everyone (which at the time, it wasn’t). Yes, it was quite the alternative concept; but then again, it was exactly the kind of thing that an out-of-the-box thinker like Schwab would dream up. So the company grew, and grew, and so did the number of investments within the market from the general public. In essence, Charles Schwab not only started an extremely successful company, but he also revolutionized the financial industry. Behind all these incredible achievements and innovations is a shy, yet charming, upbeat, and distinguished man, now in his 70’s, with a (mostly) hidden disability. Despite knowing that he had extreme difficulty taking notes in class, flunking English two times, and struggling in foreign language classes, Schwab did not have a name for his disability until his son was diagnosed with dyslexia in the 1980’s (his son was in grade school, Schwab was 58). He then saw both sides of the struggle with dyslexia—one, his own personal challenges with dyslexia; and, two, his and his wife’s challenge of getting his son the proper support he needed to achieve his dreams, learn in school, and have a healthy self-esteem. So how else does dyslexia affect him? Well, mostly, it benefits him: “I think it leads to a better visualization capability, conceptual vision,” he told Steven Moore of The Wall Street Journal (July 28, 2007, “Talking to Chuck”). And now, after decades in the financial world, he finds that he does see those industry-related words more automatically, without the hesitation that comes when he reads a book on an unfamiliar subject. And he gets his “reading” done on those subjects through books on tape. “Thank goodness for all the new communications devices,” he tells USA Today writer Todd Pitt. And thank goodness for the innovations and inspirations of this talented dyslexic. Read more: Charles Schwab on his own experience with dyslexia and his support of accommodations in a Letter to the Editor in The Wall Street Journal, February 14, 2000. The content on schwablearning.org will continue to help parents struggling to advocate for their children on greatschools.org. Professor Garfield (professorgarfield.org) operates sparktop.org, in addition to its own online games and activities for learning and fun.